It's almost Easter, time to rejoice. But how? When? Where? With whom? As much fun as spontaneous celebration can be, we Christians do need to plan and prepare for our biggest and most holy celebration of Easter. We have been doing this throughout Lent. Our prayers, fasting and almsgiving are in preparation for the joy filled, earth shaking celebration of the resurrection. So how do I prepare? What can I do to be ready to the 'let this holy building shake'? Does it have something to do with the Easter Bunny and chocolate and yet another assault on shopping malls? Maybe…. But I doubt it. As Catholics and Vincentians, our Easter is centred around the events of the Triduum. We celebrate, not just for one day, but for three big days plus the whole Easter season that lasts until Pentecost. Now that's some celebration! Our celebration involves light (the Pascal candle), water (baptism), and a long list of symbols, many adapted from the pre-Christian era to illustrate our beliefs. 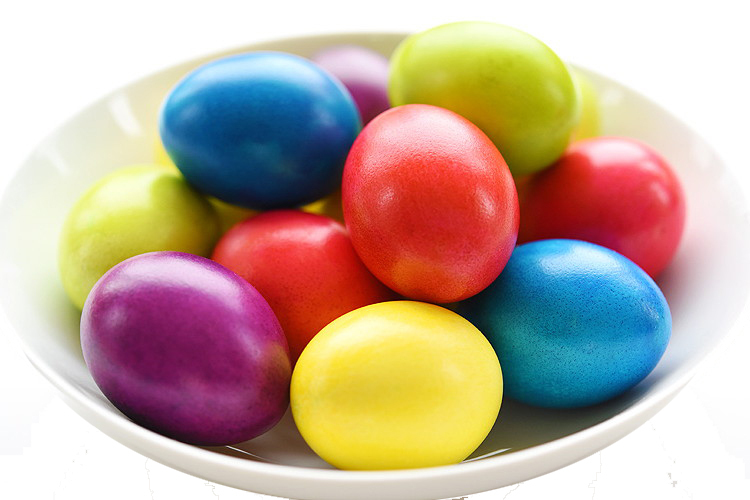 There are some who discourage the use of bunnies, chicks and coloured eggs as part of the secular, commercialization of Easter. I prefer to use any and all symbols that remind us of the triumph of life over death. Bring on the Easter eggs and everything that represents new life! who gratefully partake of them in honour of the Resurrection of our Lord Jesus Christ. that all who eat of it may have health of body and soul.